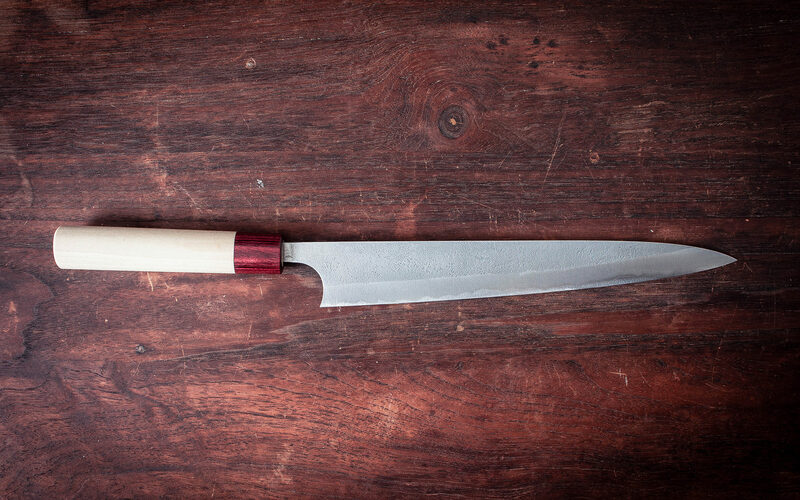 The Blade is made white number 2 carbon steel. 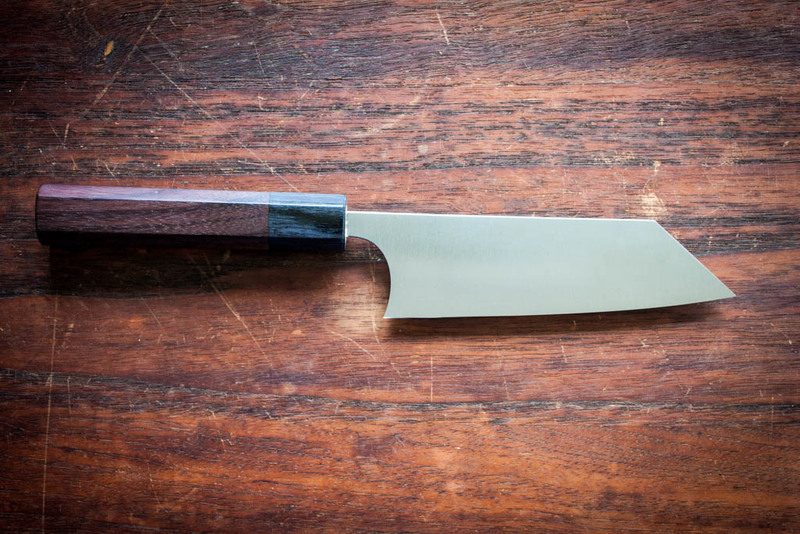 This steel excels at having the sharpest edge and has a smooth cutting performance. 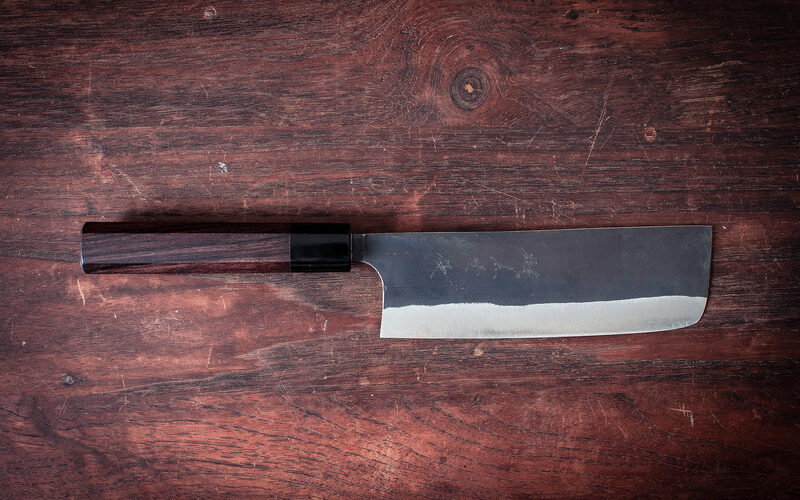 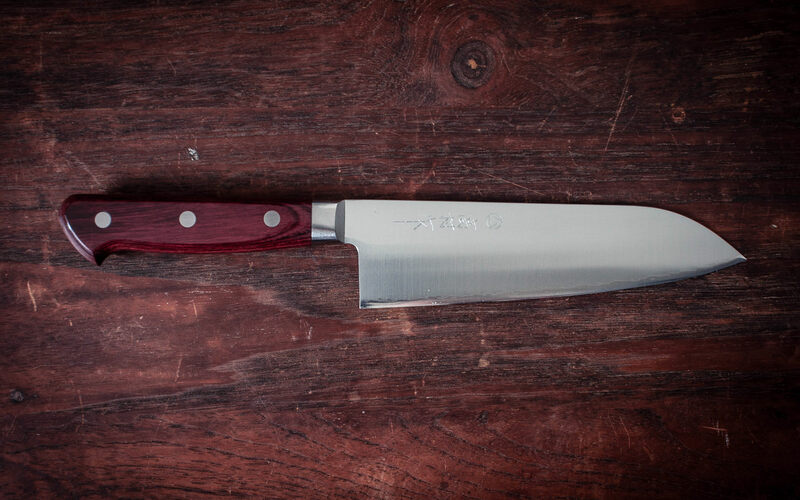 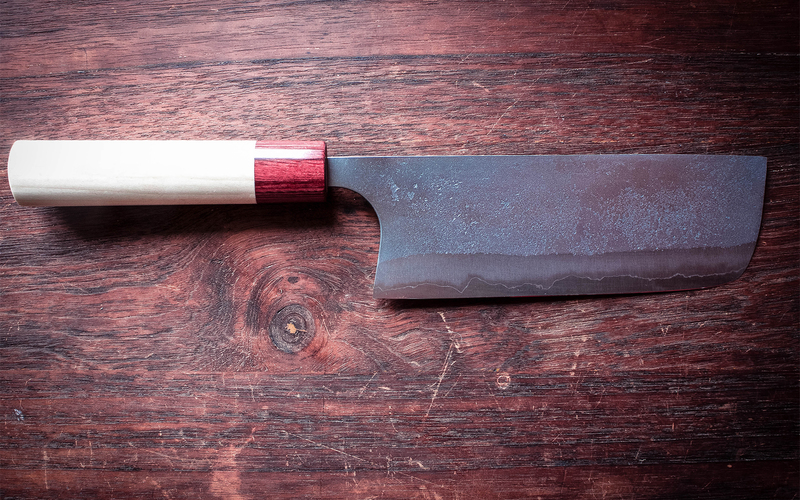 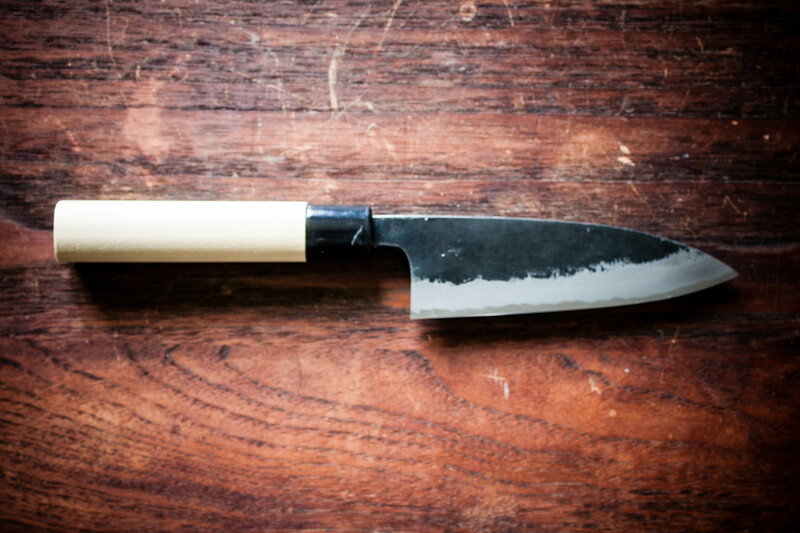 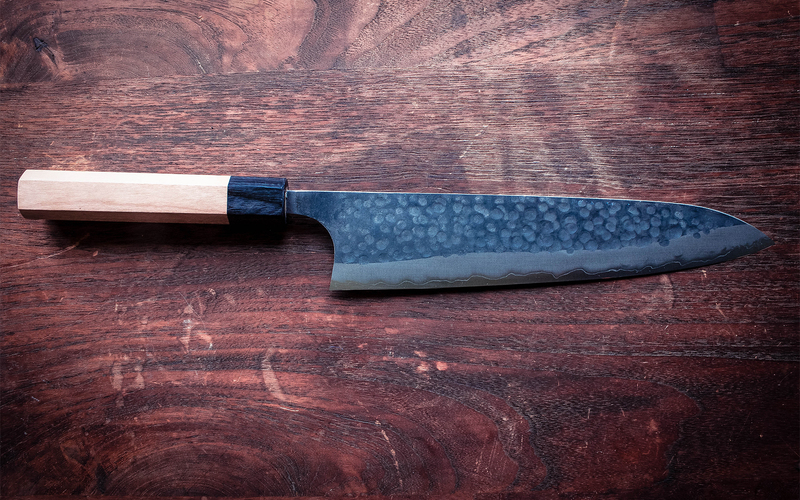 It is easy to sharpen, so if you want to learn sharpening this is the steel of choice. 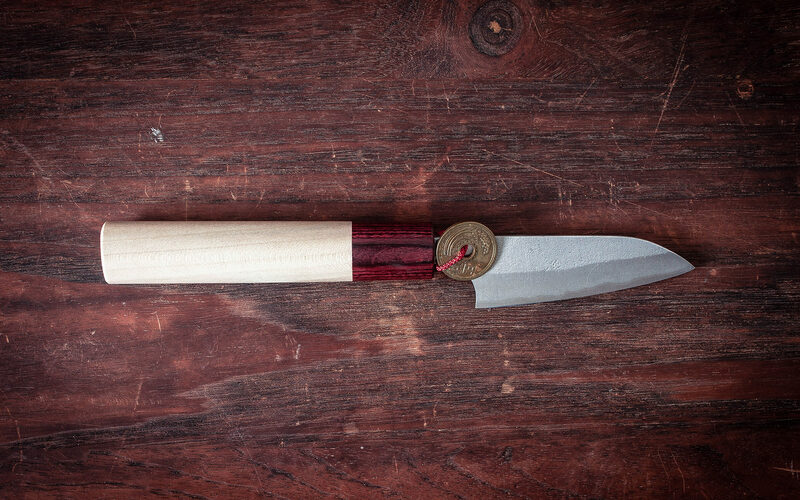 small petty knives are ideal for peeling and detailed cutting tasks.